If installment payments have been received by the borrower for at least one year, this income must be considered. 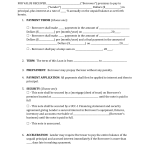 If there is documentation showing that this income has continued for 3 years or more it must be kept with the mortgage file. 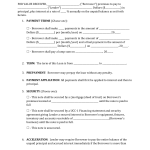 This area will be used for the purpose of calculating continuing rent or any royalty income. Royalty is considered income if continued for 12 months and has documented proof that it’s been received by the borrower, as well, it must be documented that it will continue for 3 years. Any rental properties must match the same as listed on the Schedule of Real Estate Owned on the application (Form 65). If it’s discovered that there are properties listed that are not listed on the tax returns but are listed on the application, provide alternative documentation which is required by Guide Chapter 37. If there are properties shown on the tax form, but fail to appear on the application, documentation must be provided to show proof of sale or documentation proving transfer of ownership. Use the Net Farm Income. Any allowances that are indicated, would be added back. If the Cooperative and CCC income prove to be recurring and stable, add back the non-taxable portions of the CCC and Cooperative. The subject property cannot be listed as the address of the Farm. This income is only permitted if Form 1065 (Partnership tax returns) shows evidence of positive trends and liquidity. As well, the borrower must provide a corporate resolution that will provide proof of access to the income, (if the income is not already reported on the personal tax returns of the borrower’s form 1040. S-Corporation and Corporation income is only allowable if the borrower’s after-tax percentage share within the partnership, has been documented in the mortgage file. The use of the S- Corporation and the Corporation must prove continued profit and liquidity. If the business is run on a fiscal year as opposed to a calendar year, adjustments will be necessary to relate income to the borrower’s tax return. 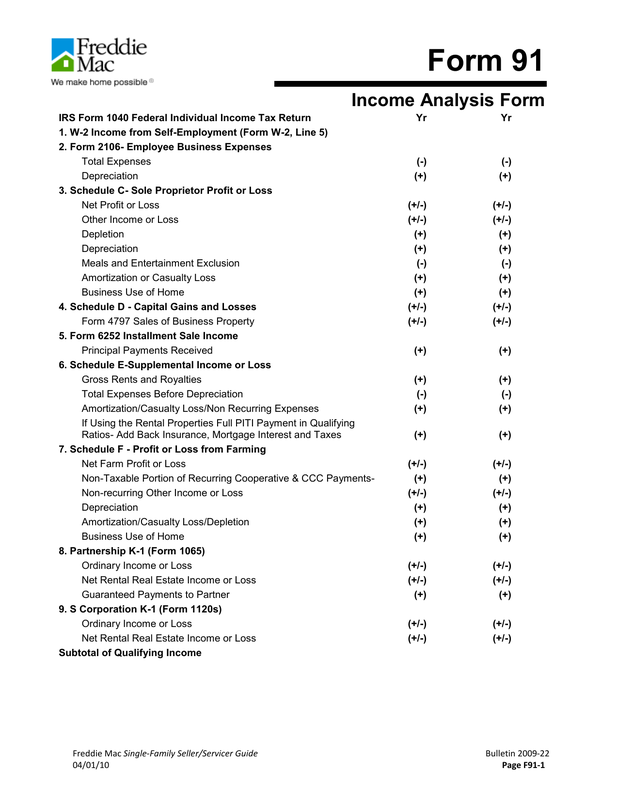 Step 11 – Once the numbers and evidence is all reflected on the form, complete all calculations to determine total qualifying income for the requested loan.